The cluster mode allows networked Node.js applications (http(s)/tcp/udp server) to be scaled accross all CPUs available, without any code modifications. This greatly increases the performance and reliability of your applications, depending on the number of CPUs available. Under the hood, this uses the Node.js cluster module such that the scaled application’s child processes can automatically share server ports. 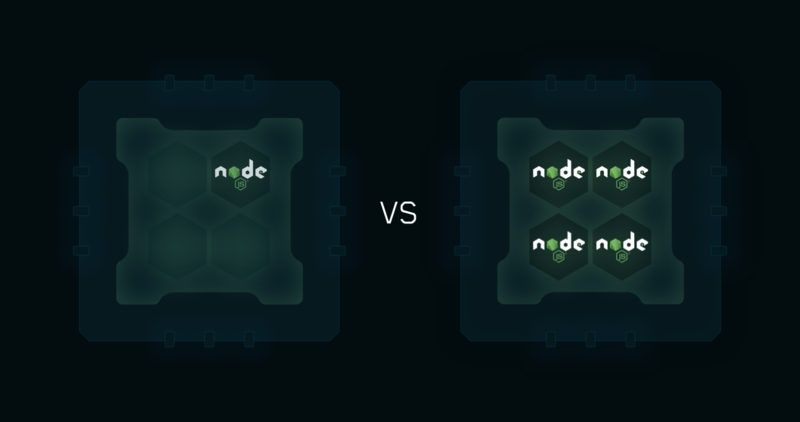 To learn more, see How It Works in the official Node.js documentation on the cluster module. As opposed to restart, which kills and restarts the process, reload achieves a 0-second-downtime reload. In production environment, you may need to wait for remaining queries to be processed or close all connections before exiting the application. On the PM2 reload context it can be translated into a very long reload or a reload that doesn’t work (fallback to restart) meaning that your application still has open connections on exit. You may alternatively need to close all databases connections, clear data queues or whatever. Read more about Graceful Shutdown feature. Be sure your application is stateless meaning that no local data is stored in the process, for example sessions/websocket connections, session-memory and related. Use Redis, Mongo or other databases to share states between processes. Another resource on how to write efficient, production ready stateless application is The Twelve Factor Application manifesto.